Currently busy for a client to install and configure Oracle Enterprise Manager 12c for database and more administration across the globe. These environments were configured and setup by a different 3rd party so not always follow our wishes and administration guidelines. You can imagine that such environments are also a neat environments regarding learning curves while attempting (and today still successful) implementation of a “administer everything via Oracle Enterprise Manager 12c” setup. Besides some “getting used to” and “Marco, read the manual first, for once in your live time” – issues, I encountered multiple issues (problems) trying to install the Oracle OEM 12c Agent software. Your first step to success… I also found some answers that I hereby want to share, so they will soften your upgrade and installation pain (if there is any). First of all, it is probably a very good idea to install the agent software in a separate OS user, with the proper “oinstall” and “dba” OS group privileges. I still haven’t done it, but I guess that it would have made my issues / learning curve less painful. Installing the agent software via such a predetermined setup OS user would have guaranteed a existing predefined standard basis to start with. Especially in my globally scattered multiple database environments with different setups, Optimal Flexible Architecture (OFA) implementation ideas and OS usernames, home directories and group naming, this was really asking for a lot of extra effort and problems. Also in such an environment, it is very difficult to create a standard installation (manual description). The following defaults for Oracle 12c Agent software install on local and remote hosts apply. Use the following values and/or applied rules. Always use Fully Qualified Domain Names (FQDN) naming regarding hosts entries in local and remote sites. Most issues occur due to mismatched FQDN in remote and local hosts files. A host file based name resolving setup must be used on remote and local sites. Check on firewall issues beforehand and be aware that, by default port 4900 will be used for http(s) traffic from the OEM Agent software to the Oracle Management Server environment and port 3872 from the OMS environment to its Oracle Agents. Sometimes you will also see this when the OMS/OEM server node is not added in the target/remote server node in the /etc/hosts file. If the Fully Qualified Domain Name is added and will be properly resolved, then the next step is to add and deploy the agent software on this new node. It is also a good idea to beforehand check the read and write privileges on your remote site for the directories accessed, so Agent install directory but also the settings on the $ORACLE_BASE / $HOME directories. You will get a warning if you don’t have the proper settings during install, but it is better, of course, to check this beforehand. The following section provides you with steps needed to add a target, that is deploy the minimal Oracle Enterprise Manager Agent software to be able to add databases, listeners etc, afterwards in Oracle Enterprise Manager Cloud control. Be also aware that the settings here are discussed in our group regarding “How to setup OFA naming” or regarding security implementation settings. This setting might not reflect your environment, but they are described here so you have a context regarding the solutions and issues sections further down the line. I don’t say the are good implementation settings; I don’t say they are bad implementation settings, BUT this is where we internally agreed on and fit our purposes. We have implementations with multiple Oracle software owners: oracle_dev, oracle_prd etc., but agreed to refer back, standardize on the general used “oracle” user. Use /oracle/product/12.1.0/agent as the value for “Installation Base Directory for the OMS/Agent 12.1.0.1.0 software. If “sudo” is NOT place on the remote site: blank out all values (keep it empty). You will be asked to run the root.sh script afterwards manually via the root account. When done: Click the [Next] button. After values been reviews regarding correctness: Click the [Deploy Agent] button. Possible solutions to issues that might occur during the installation of Oracle Enterprise Management 12.1.0.1 Agent software. Remove the statements that create the banner (or extra print text call) in the .bash_profile/.profile etc. Adding the banner to the ignoremessages.txt file in the OMS environment doesn’t always help because banners can/will be autogenerated based on the environment. So in this case it is easier to (temporarily) remove the scripting that creates the banner during shell login. The command “netstat -na|grep 3872” clearly shows the port is not being used. Bug 14170013: INSTALLING AGENT FOR OEM CLOUD FAILS WITH BUSY PORT BUT PORT IS NOT BUSY. This might be due to an incomplete OMS/Agent verification handshake. In other words, the OMS_DOWN bit does not apply. Check if the port is busy as recommended by the installer. echo "Greping for your port, please be patient (CTRL+C breaks) ... "
This might have been an indication regarding a SSL certification mismatch (so once again hostname/FQDN related). If once again there are some issues, double check if issue number 3 might apply. A typical issue endured after connection timeout errors or others where the installation of the software succeeded and/or other issues broke the installation. This might be caused due to inconstancy between the actual install status and the oraInventory bookkeeping in $ORACLE_BASE/oraInventory/ContentsXML file “inventory.xml”. This inventory.xml file can also be used to find the used ORACLE_HOME and ORACLE_HOME_NAME of the OEM Agent values used during the silent install. For example via values found in “inventory.xml” you could now detach the offending oracle homes and/or manually or automatically remove the software as well. /oracle_dev/product/10.2.0.4/oui/bin/runInstaller -silent -detachHome -invPtrLoc /oracle_dev/oraInventory/oraInst.loc ORACLE_HOME="/oracle/product/12.1.0/agent/core/12.1.0.1.0" ORACLE_HOME_NAME="agent12g1"
/oracle_dev/product/10.2.0.4/oui/bin/runInstaller -silent -detachHome -invPtrLoc /oracle_dev/oraInventory/oraInst.loc ORACLE_HOME="/oracle/product/12.1.0/agent/sbin" ORACLE_HOME_NAME="sbin12g1"
Most issues can be avoided by being very precise regarding configuration and checks when dealing with resolving the Fully Qualified Domain Names of the Oracle Enterprise Manager server and the remote to be administered node/server machine. Be aware of firewall issues and privileges. Currently we temporarily avoided some security problems by importing the public ssh key of the OEM software owner in the authorized_keys file of the to be managed remote software owner. This is of course not the most secure solution due to the fact that the “OEM owner” can open any connection to remote machines without being asked for a password verification. One of the reasons why we temporarily used this to install the software as long as we were not yet officially in charge of those machines (we are now as of the 1st of July). When I encounter more issues, I will add them here, but be very aware that those issues and solutions described here might not work or even damage your environment, if you are not certain about what you are to do. 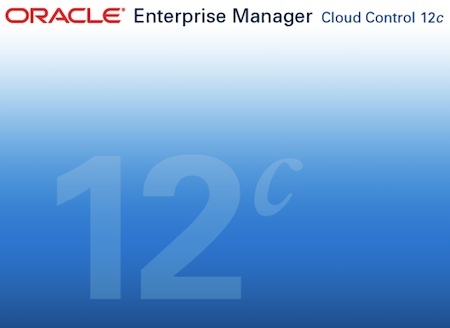 Most pre-conditions are described in the Oracle Enterprise Manager 12c administration manual and should be studied carefully. There are more ways of installing the Oracle Agent software, like via a RPM, like described by Martin Bach (“Installing OEM 12c agents in RPM format”) but I hope this manual install will help some people. I made this mistake as weel. I had the ORACLE_HOSTNAME=”remote host fqdn” rather then the “local host fqdn” specified in the respons file.